A WOMAN who was diagnosed with cancer after receiving an incorrect test result three years earlier has described the CervicalCheck scandal as "robbery of life". Emma Ní Mhathúna (37) was told she had second stage cervical cancer in 2016- despite a smear test in 2013 coming back clear. The mother-of-five was only informed of the incorrect test result last Sunday by her doctor, after news of issues surrounding CervicalCheck emerged. Ms Ní Mhathúna has described the scandal surrounding CervicalCheck as "disgusting" and told TV3 News that she is still trying to digest the news. "The last few days I’m in shock, it hasn’t fully sank in because I’m trying to raise my five children at the same time. "So pre-cancerous cells, it’s a few minutes procedure, you take off the cells and on you go but not stage 2b, you’re really far in to the cancer itself so it would have made a huge difference, not only to my life but to my five children’s lives," she said. 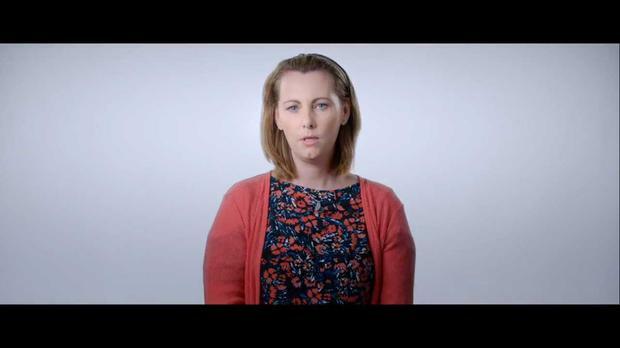 The Kerry resident, who appeared in a HSE promotional video to encourage the uptake of the HPV vaccine, said she felt sickened by her predicament after promoting the smear test. "I feel like the joke is on me because I went and tried to help CervicalCheck by making [appearing] in the HPV ad that the smear picked up my cells. "Don’t ever, for the foreseeable future, put me in front of somebody who works for CervicalCheck because... it’s just disgusting, it’s robbery of life, it’s robbery of dignity. "Making women go around thinking something is true when it’s not. "I should never have even had cancer."